Make your wedding as one-of-a-kind as your love story. Perhaps you both fell in love at your college coffee bar - add something a little extra that reflects that with a customized package from Lilac & Lace Co. starting at $200. Here are a few suggestions || Coffee Bar || Lemonade Bar || Gourmet Marshmallow Bar || Coke Bar || Cereal Bar || Pie Bar || Apple Cider Bar || Rice Krispy Treat Bar ||. 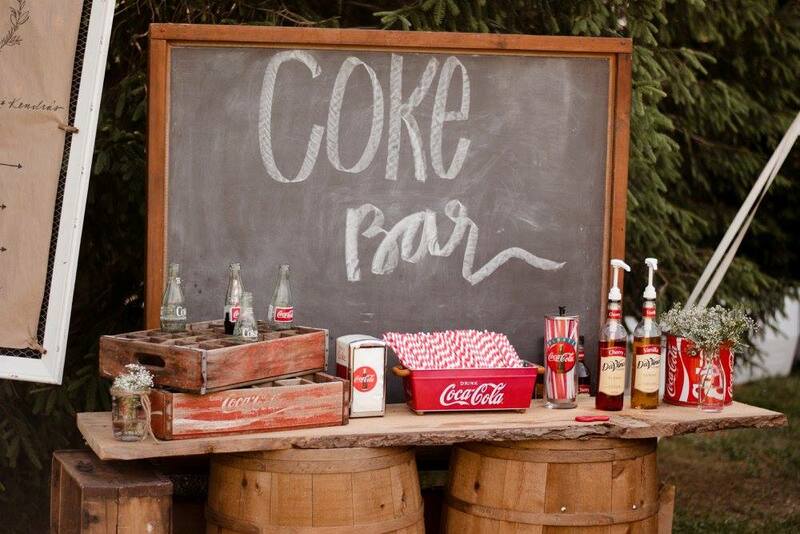 Each customizeable bar will include a piece of furniture or our barrel bar, and a hand-lettered sign along with the items needed to make your bar adorably unique. Reach us through our contact form - we have tons of ideas!